You must be DIFFERENT to the world. “World of Difference” is part of Rotary International and is managed by Rotary District 9800. Rotary is a worldwide team of every day people accomplishing extraordinary outcomes because they choose to share their knowledge, skills, experience and time for the advancement of other communities. World of Difference has a strong track record of working with Cambodians to break the cycle of poverty that has been thrust upon them through events of history. “Working Together” is an opportunity to participate in community building activities with Cambodians in Cambodia. 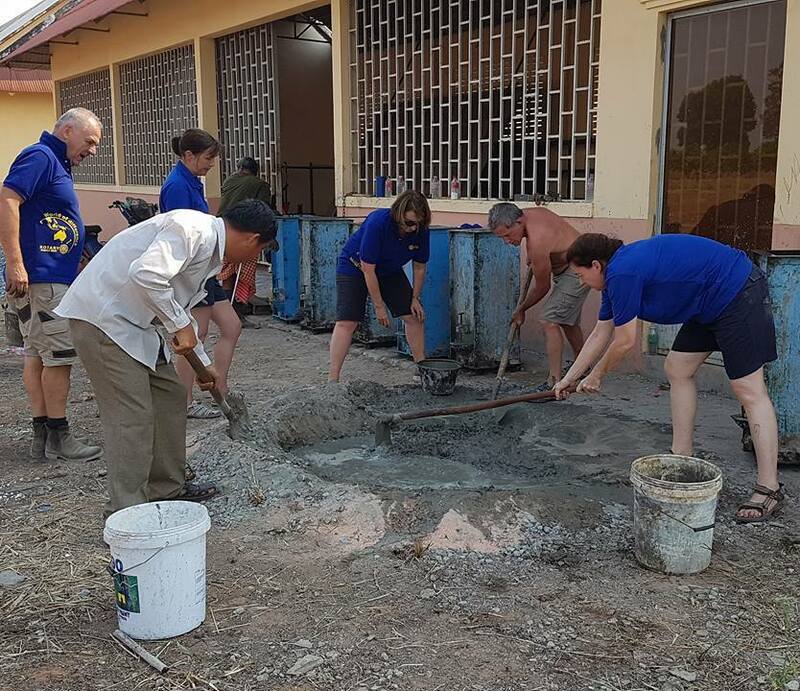 Through Working Together Tours, World of Difference offers adults and older students, accompanied by a guardian, an opportunity to contribute their skills, knowledge and experience to a community building activity that is being sought by a Cambodian community. Sitting with students and speaking in English to help them learn a new language, through knowledge transfer. An example will be explaining what something means or how it works or why it is done – body hygiene, sewing garments, servicing a pump. Skills transfer - showing how something is done such as dental hygiene such as tooth brushing, making craft items to sell , bicycle repairs, teaching first aid. Major projects, such as developing a plan for a new agriculture planting strategy for the dry season including water supply, crop selection and crop selling. We will match your personal skills, knowledge and experience with a need in the village community. You will make a difference and you too will become different through your new experiences and learnings. You will also experience the cultural diversity of Cambodia, explore some of the country’s most stunning sites and learn about its history.